Once a survivor works up the courage to reveal their experience to you, what happens next becomes the single most defining moment in the course of their survivorship. Words have power. Your words in that moment have the power to heal - to speak life; your words in that moment have the power to harm, leaving long-lasting and damaging effects that in many ways are more traumatic than the assault itself. 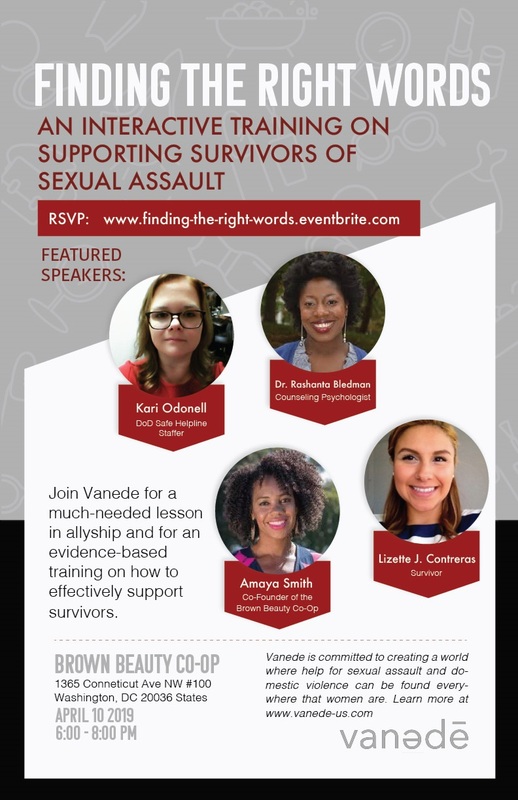 In recognition of SAAM, Vanede will be hosting a much-needed lesson on allyship through an evidence-based training on how to facilitate conversations impactful enough to change the course of a survivor’s life.